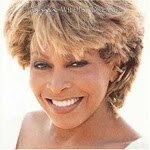 Private Dancer was Tina Turner's Breakthrough album and included Tina Turners only number one single (U.S.) "Whats love got to do with it" The album stayed in the UK chart for a massive 147 weeks. Private Dancer was later released as a special edition C.D. by EMI. with remixes and b-sides included. A pure rock album, included a cover of David Bowies "Girls", "Back where you started" was written by Bryan Adams. The album stayed in the UK chart for 49 weeks. 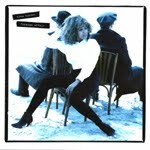 Foreign Affair was Tina Turner's 1st UK No1 Album, and spent 78 weeks on the UK albums chart. The album included 5 top 40 hits. "All kinds of people" was written by Sheryl Crow, Antonio Bandaras dueted with Tina on "In Your Wildest Dreams" when released as a single Antonios vocals were changed to Barry White's. Sting also appeared on the album as a backing singer on the track Silent Wings. "Confidential" was written by the Pet Shop Boys. The U.S. Version of the album also included the song "The Difference Between Us" & a remix of "Something beautiful remains"
8. All The Woman (live) . When The Heartache Is Over (video) . Released with a special edition bonus disc in the UK, Included the single when the heartache is over which was produced by the same people that produced Chers - Believe & Belinda Carlisle's - All gods children.